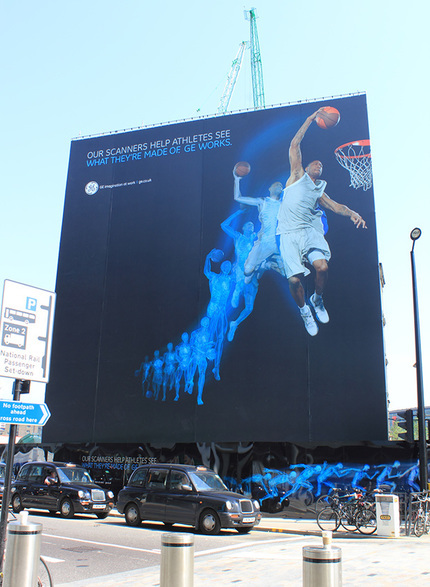 Principle delivered unique large scale graphics for GE during the London 2012 Olympic Games. Principle were asked to deliver a unique large scale graphic, depicting how their work helps athletes, to be displayed during the London 2012 Olympics. The time-sensitive project involved wrapping two entire sides of the Stanley Building at Kings Cross for a temporary period between 23 July 2012 and 10 September 2012, in conjunction with both the Olympic and Paralympic Games. The project was delivered in 7 weeks from initial concept discussions, which required planning permission for the listed building application. The graphics were technically developed by our in-house specialists and digitally printed onto PVC graphics totaling 16.4m high x 34.4m wide. Installation planning was critical to the success of the project, which included a specialist fitting crew who abseiled down the face of the scaffolding to finalise the implementation. 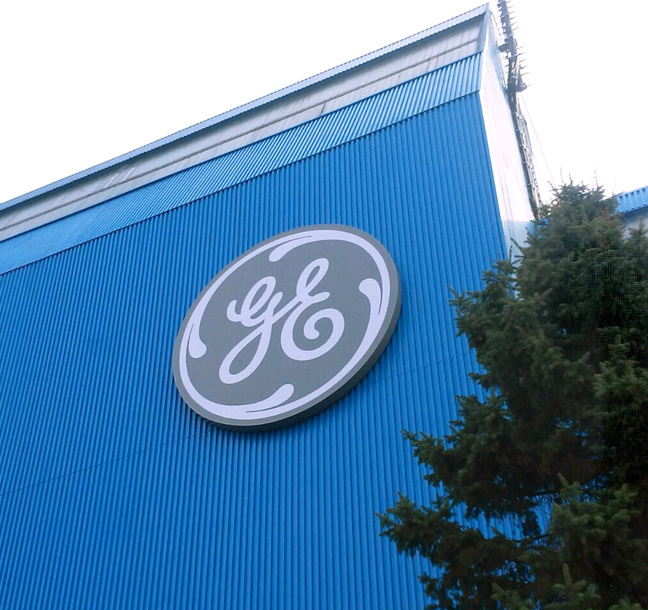 Principle appointed to deliver a fast-paced rebranding programme across 26 countries for GE.